Click to Join our FAN page on Facebook! As the previous address was no longer working, this is the new address that saves and will not crash your browser. 1 address returned. 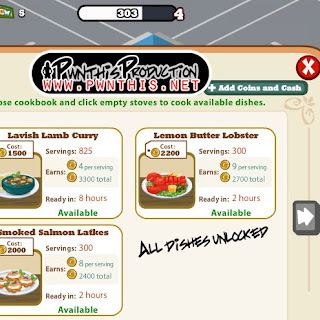 Copy out the address and click "Add Address Manually"
Now you can purchase all dishes. Remember to save your game! Have fun.